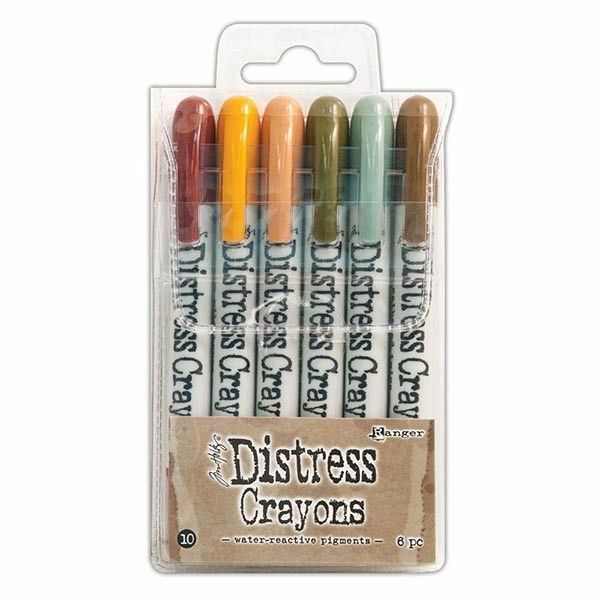 Distress Crayons are formulated to achieve vibrant coloring effects on porous surfaces for mixed-media projects. 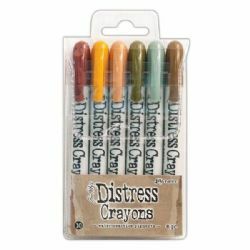 The smooth water-reactive pigments are ideal for creating brilliant backgrounds, watercoloring, smudge effects and so much more! Colour directly onto your surface and blend with water then layer with Distress Inks or Stains for more creative possibilities.